Nintendo disappointed the entire internet this morning when a Pokémon-focused livestream, which many hoped would bring news of a traditional Pokémon game coming to the Switch, turned out to mostly be an advertisement for Pokkén Tournament DX, a slightly expanded Switch version of the Wii U’s Pokémon fighting game. It’s scheduled to hit shelves on September 22, but it’s not the only Pokémon game landing that day. 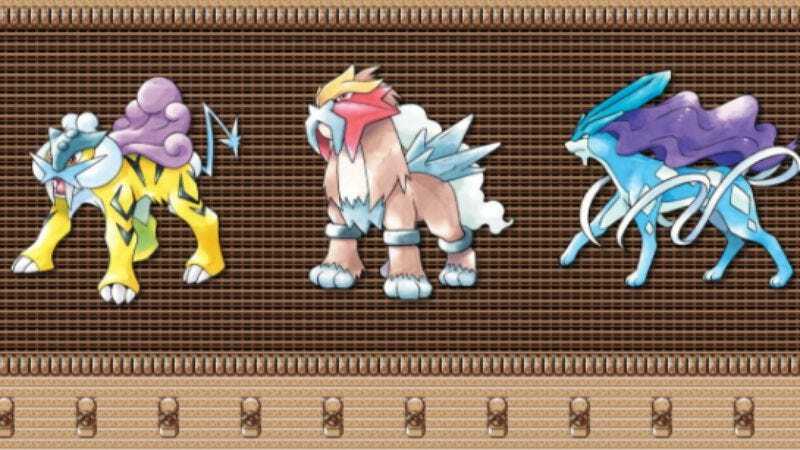 Also announced for September 22 was the re-release of Pokémon Gold and Silver, the second set of games in the series and often regarded as the best. They’ll follow in the footsteps of last year’s enhanced Pokémon Red and Blue re-release and come to the Nintendo 3DS Virtual Console. The livestream also revealed Pokémon Ultra Sun and Ultra Moon, new games that take place in the same tropical region as last year’s excellent Hawaii-themed installments. According to the Nintendo Direct livestream, it tells an “alternate story” and will feature “new Pokémon that didn’t appear in the original versions.” Ultra Sun and Ultra Moon are scheduled to launch for 3DS on November 17, one day shy of the original Sun and Moon’s one-year anniversary.